The key to a good GPS is always the ability of the unit to lock onto the Satellite as fast as possible. While commercially available GPS unit for vehicle navigation could lock onto the satellite signal better, the GPS sports watches, suffer from the inability to lock on to the signal fast enough. This is due to the size of the watch with limited spaces. However, with the advancement of the GPS chips, smaller and more compact GPS watches, and in return, better lock on ability. 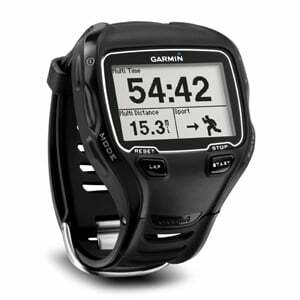 I was told that the 910XT comes with the SiRFStar IV chip with Garmin's Hotfix technology ensure fast and constant lock on to the signal. But, how fast is fast and how slow is acceptable? The GPS term for this would be known as "Time To First Fix"or TTFF. 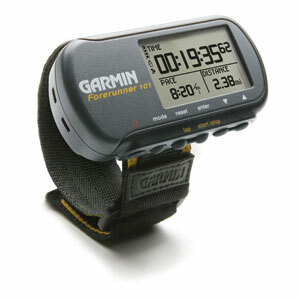 No users would want to stand there trying to let the GPS unit scan the sky for the satellite before starting their runs. Knowing some limitation even with fast GPS chips, i decided to test it out. "Cold start" refers to the GPS unit starting up from another location (or considered to be BRAND NEW and OUT of FACTORY) than the last known location (before it is switched off) and usually will take up to three minutes (or up to 15minutes on FRESH Factory, which is unlikely as the units need to be started up for QA/QC check before leaving) even on a Vehicle navigational GPS unit (which usually runs on SiRFStar III or below chips). Pardon the unimaginative video below. This was taken by the road side as i was walking to my car after work. Looking at the above video, the 910XT found and lock onto the satellite in less than 59 seconds, that includes the time it takes to "activate" the GPS (physically switching it ON. I deactivated the GPS prior). In less than 1 minute lock on is very commendable. Looks like all one need to do is to switch on the 910XT when they arrive at their swim/bike/run location and continue to setup or get ready for the workout while allowing the watch to lock on to the satellite signal. This also meant, you will not realise the lag. Good stuff. The close brother of the "cold start" would be a "hot start". Both these terms are under the TTFF family and often used to gauge the GPS chip performance. What this hot start meant is the ability of the GPS unit "remembering" the last known place before it was switched off (or Standby mode). This will explain why after a cold start, your GPS will usually locks onto a GPS signal almost immediately (or negligible lock on, like within 30 seconds or less). How did the 910XT fare? The 910xt locks on t what seems like 20seconds (0:34 to 0:54) but i claimed it to be 10seconds in the video likely because i assumed it only starts tracking when i got to the graphical status. Apologies for that. For the record, it takes 20seconds flat, which IMHO, almost (feel) immediate on Hot start. Tying your shoelace will take longer than that. Hope this short article help dispel any worries if the 910XT ability to lock on to GPS satellite signal fast enough!